In England, the Royal Arch is considered to be the completion of “pure ancient Masonry”. In the Craft the candidate is presented with a series of eminently practical principles and tenets which if he practises them he may hope to live a life pleasing to his God, however he worships him, and of service to his fellow man. But man is not simply a practical being, he has an essential spiritual aspect to his nature. That spiritual aspect is introduced in the Third Degree, in which the candidate is led to a contemplation of man’s inevitable destiny, and becomes the central message of the Royal Arch. 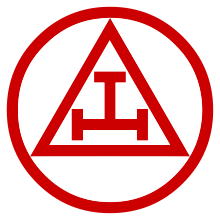 In that sense, “pure ancient Masonry” can be seen as a journey of self – knowledge and discovery with the Royal Arch completing the practical lessons of the Craft by a contemplation of man’s spiritual nature, not replacing but reinforcing and supporting what he has learned from his religion.